Saving Halloween one door at a time! 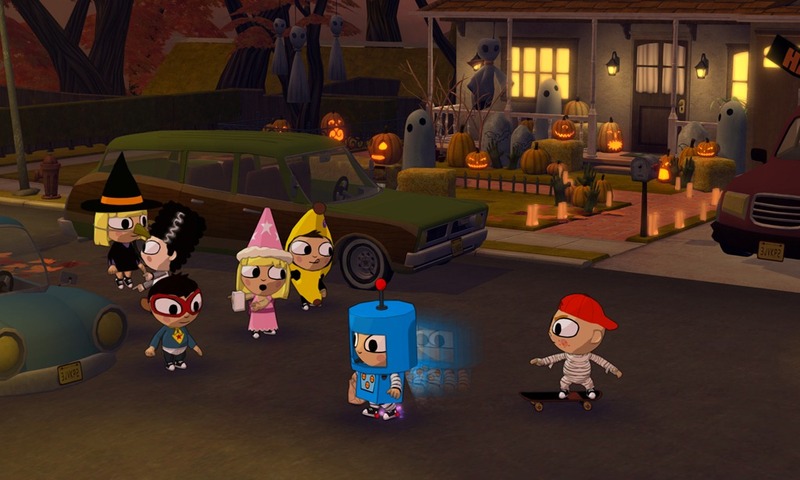 Costume Quest’s pre-Halloween arrival is just what the Game Doctor ordered for some good old-fashion family fun. Even after purchasing two power-house RPG’s in Fable III and Fallout New Vegas I could not resist the charms of Double Fine’s latest humour-filled title. 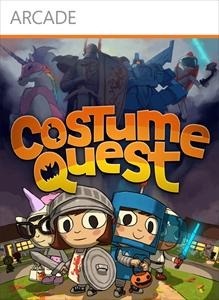 Costume Quest, like Enslaved before it, is the latest game where when I play the family likes to huddle around and watch the goings-on of the game. My family is a lover of Halloween time (my wife and kids carved 10 pumpkins today) and CQ fits the bill for family fun where the scares are light and comedy is great. Better than sitting around and watching a slasher-flick that will give my children nightmares! A simple RPG with turn-based combat and an aesthetic that harkens back to my own memories of trick-or-treating as a youth makes Costume Quest a winner in my book. I look forward to some more play this Halloween weekend! This entry was posted in RPG, XBLA, Xbox 360. Bookmark the permalink.